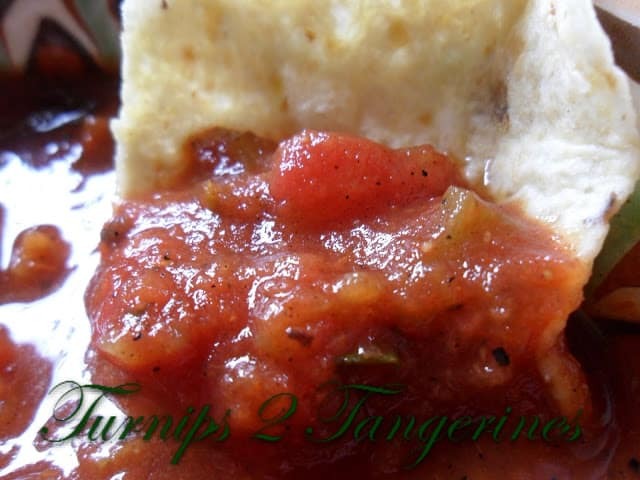 Fire Roasted Tomato Salsa, Salsa Verde are two of our favorites ways to make salsa. Fire-roasted tomato salsa and a green salsa verde are both fast, easy and delicious. Now for that important question…Are You Ready for Some Football? It’s that time of year again…time to cheer on your favorite team and make your favorite Game Day Recipes. Salsa and chips are always a hit and homemade salsa is a real winner. Last year, I posted a different Game Day Recipe every Sunday morning. This year, I decided to share a Game Day Recipe on Friday morning. This way if you choose to make the recipe, you’ll have plenty of time to make the recipe before the game starts. Giving you plenty of time to enjoy the game with family and friends. Score a touchdown by serving this game day favorite with green and gold tortilla chips, colors of my favorite team. We have included a kitchen tip on how to roast peppers and tomatoes. 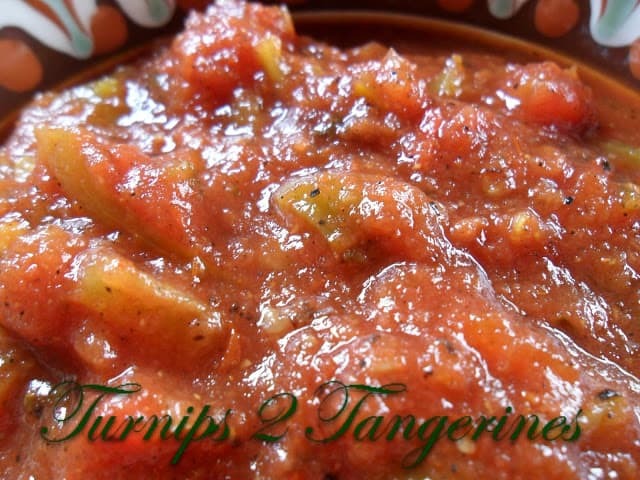 Both recipes use roasted peppers and tomatoes,. both of which are excellent roasted. 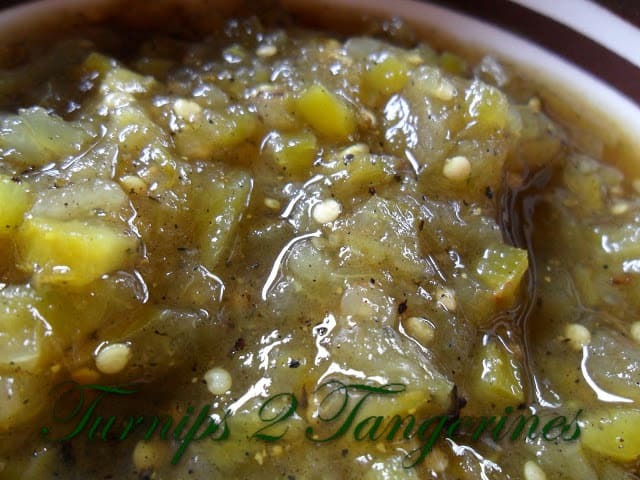 Salsa verde is made with tomatillo. What’s a Tomatillo? 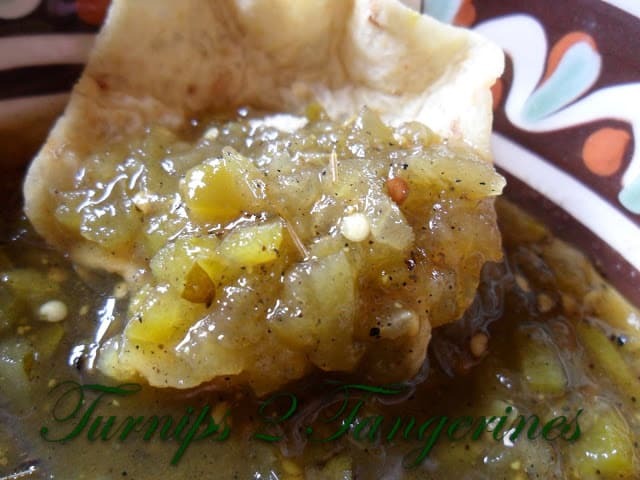 A tomatillo is a green, tomato-like fruit covered with a thin, papery brown husk that is removed before using. It has a mild lemon-herb flavor. Look for firm, dry, tomatillos with husks that tightly surround the fruit. They’ll keep in the fridge, stored in a paper bag, for up to 3 weeks. When ready to use, remove the husk, rinse under cold water and seed, if desired. Grill tomatoes, jalapenos and red pepper, over medium high heat for 8 to 12 minutes or until skins are blistered and blackened, turning occasionally. Immediately place in a large bowl or paper bag, cover bowl or seal bag and let stand for 20 minutes. Peel off and discard charred skins. Discard stem and seeds from peppers; cut tomatoes in fourths. Set peppers and tomatoes aside. Place the cilantro, onion and garlic in a food processor; cover and pulse until blended. Add the chipotle pepper, tomatoes and peppers; cover and pulse until blended. Transfer to a large bowl; stir in the chilies, lime juice, oil and salt. Cover and refrigerate for at least 1 hour. Serve with Chips. In a large saucepan, bring 4 cups water to a boil. Add the tomatillos. Reduce heat; simmer, uncovered, for 10 minutes. Drain. Place onion, jalapeno peppers, garlic clove, cilantro, lime juice, distilled vinegar, salt and tomatillos in a food processor. Cover and process until blended. Grill peppers over medium-hot heat for 8 to 12 minutes or until skins are blistered and blackened, turning occasionally. Immediately place peppers in a paper bag, seal bag. Let stand at room temperature in bag for 10 to 20 minutes. Remove charred skins; chop or slice peppers and use in your favorite recipes. * Wear disposable gloves when cutting hot peppers; the oils can burn skin. Avoid touching your face. Looking for more salsa? 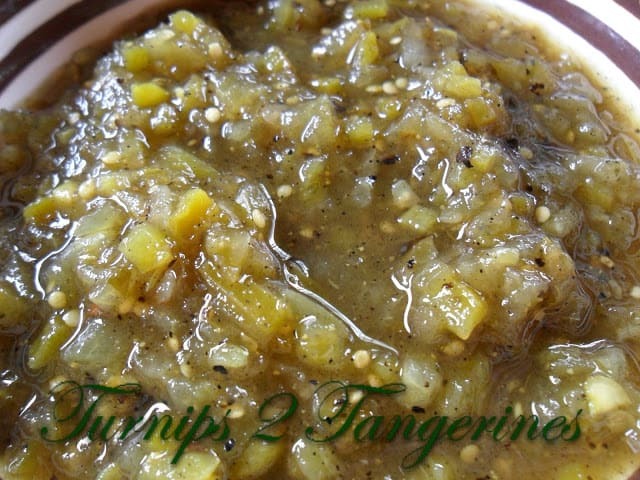 Try this Mango Mint Salsa. The freshness of your salsa comes through in the pictures. 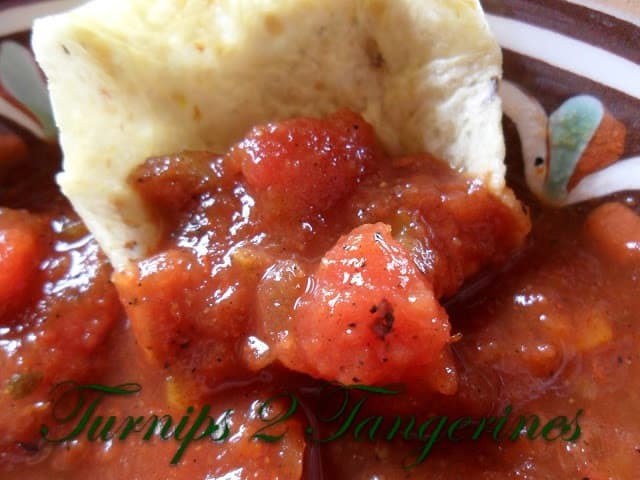 Thanks so much for sharing this kicking salsa with us on foodie friday. Thanks~ See you next time! Love your Game Day recipe concept, it's perfect for our Blog Hop Blitz over on gladiatorinheels.blogspot.com! Thanks for linking up with us, hope you'll be stopping by again this season. Might have to make some salsa and ship it to Jacksonville. My husband is a huge Jaguars fan but man, they stink! Hi Lynn, your salsa recipes look very delightful and refreshing. Thanks for sharing your recipe. Man, I'd even root for the Packers if I had that kind of menu. Don't worry, I'm nothing deplorable like a Bears fan, just a Broncos fan. But I do have Aaron Rodgers on my fantasy team! All fans are welcome here:) The Broncos do have Peyton Manning! Now that would be a great game to watch!!! I'm also a Packers fan-Go Green Bay! and will also DEFINITELY be trying both salsa recipes. Salsa verde is my favorite, especially over eggs, crushed tortilla chips, and a bit of shredded cheese. Great post!